Molly and I will be at the Mt. 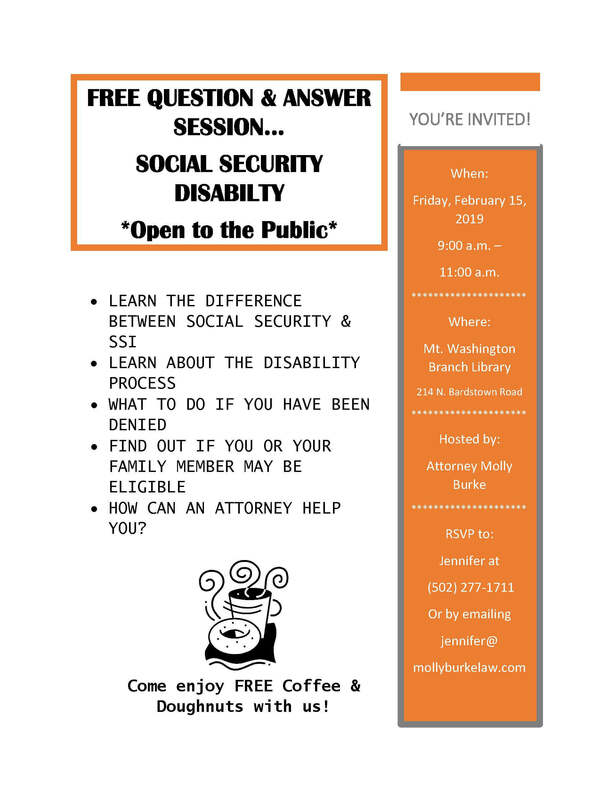 Washington Library Friday, February 15, 2019 from 9:00 a.m. to 11:00 a.m. to answer questions regarding Social Security Disability (SSD) and Supplemental Security Income (SSI). Do you know someone that isn’t able to work due to an injury or illness? Is someone drawing short-term or long-term disability through their employer? They should come to this free event! We will have complimentary coffee and doughnuts too.